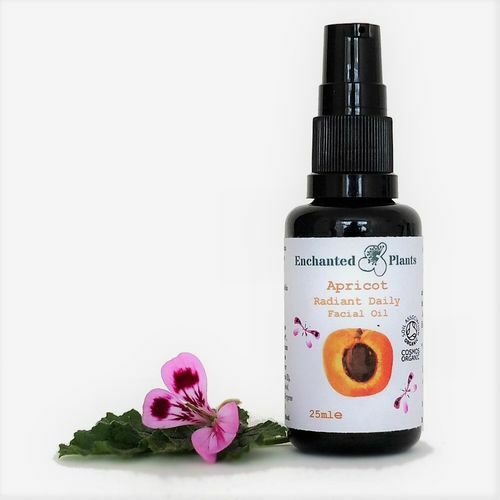 Apricot Radiant Daily Facial Oil | Enchanted Plants Ltd.
A sparkling certified organic, concentrated blend of vitamin rich Apricot and nourishing Borage oils, with special active antioxidant and skin regenerating extracts of Cylindrotheca marine Algae and Vanilla. Deliciously scented red Mandarin oil energises your senses with every drop and pure organic certified Jasmine oil gives a touch of natural luxury to this truly radiant daily moisturiser. Directions: Massage a couple of drops into freshly cleansed skin every morning for a brilliant anti aging daily treatment. This product is designed to last you three months, a little goes a long way. Key ingredients: Apricot kernel Oil - Skin softening, multi vitamin rich, gentle and nourishing. 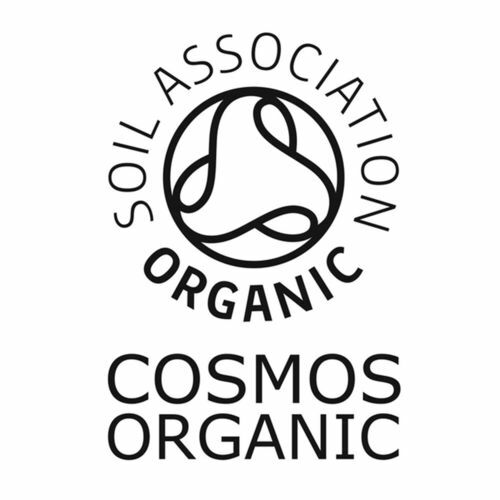 Virgin Borage oil- vitamin rich, cooling, soothing, nourishing with high Omega 3 and 6 fatty acids. Cylindrotheca algae- a special marine algae extract made in an eco bio-plant for purity and protection to marine ecology- rich in Carotenoids, sterols and essential fatty acids giving super antioxidant, collagen repairing and skin regenerating support to your skin. Vanilla extract- Antioxidant and sweetly nurturing. A touch of food grade Rose geranium oil gives a beautiful rosy balancing scent while luscious red Mandarin oil energises the day. 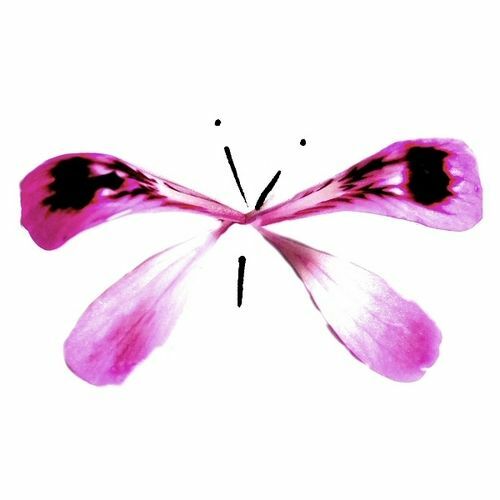 The little rose geranium petal butterflies on the label are symbolism for transformation and renewal, we wish your emergence into beautiful skin with the support of these plant ingredients. This facial oil is made surrounded by Rose quartz crystal to infuse the oil with love and transfer the power of self love to you with every drop. We believe we bottle those good intentions every time we make each one by hand and that is our extra little gift to you. We hope you love this facial oil as much as we do. When I make it, the scents of marzipan from the Apricot oil and rich vanilla are beautiful and the glowing orange red mandarin oil is quite brilliant as it goes in the pot.